An increasing number of consumers today are becoming more conscious of their health. And in an effort to eat better and lead healthier lifestyles, shoppers are starting to pay more attention the ingredients used in food products. 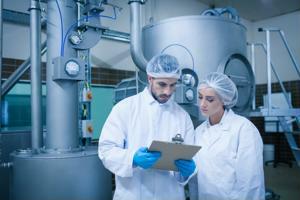 For years, the U.S. Food and Drug Administration has faced pressure to enforce stricter labeling guidelines and regulations that would improve the level of transparency between manufacturers and customers. People want to make smarter, more informed buying decisions. In order to do that, they need to first reduce the ability companies have to mislead and confuse them through packaging. One of the topics that has gained significant attention has been the debate over mandatory labeling for foods that contain ingredients that have been genetically modified, also referred to as GMOs. On July 1, Vermont will be the first U.S. state to enforce the inclusion of a GMO disclosure on product packaging. Recently, the FDA announced the official changes it will be making to the Nutrition Facts label on food products - the first major update that has been made to the panel since 1993. By the end of July 2018, most companies will be required to list the amount of added sugars contained in the item, among other things. The above are just two examples of the broader effort being made by government bodies and regulators to satisfy consumers' growing demand for healthier food products and more honest sourcing and labeling practices. And this trend is sparking a shift in how chief financial officers in the food industry are approaching their supply chain investments, The Wall Street Journal reported this week. According to the source, at the recent BMO Capital Markets Farm to Market conference, Cargill Inc. CFO Marcel Smits explained that, as more people push to know about food formulation processes and want products that are organic and non-GMO, the organization is facing the need to reevaluate its strategy for sourcing and handling raw materials throughout its supply chain. The Wall Street Journal also indicated that food companies are directing more of their attention toward spend management solutions; some are struggling to combat a spike in production costs without simultaneously having to make consumers pay more for the products. It may come as a surprise to learn just how specific major food brands are getting with their supply chains in an attempt to comply with customer expectations. For example, the source added that General Mills Inc. CFO Donal Mulligan said the company now places sugar crystals on the exterior of its cereal pieces, instead of mixing it into the flakes. This seemingly minor modification was implemented to cut back on the sugar content of its product. As the demand for better sourcing and manufacturing in food supply chains gain traction, it is going to become increasingly important for companies to improve the visibility, transparency and traceability of their production lines. Furthermore, the recent changes made in some state laws and requirements set forth by the FDA indicate the direction the industry is headed in. To ensure customer loyalty, regulatory compliance and long-term sustainability, it would be in the best interests of businesses to start adjusting operations in accordance with these new developments as soon as possible. ISM2016 Day 3 Sessions You Won't Want to Miss! The Leadership Fast Track at ISM2016! Can Flattr Fix the Digital Supply Chain?